One more thing . . . please scroll down and leave your comments, insights, or questions below. We love engaging with our new and old friends. Pins, Tweets, and Facebook Shares . 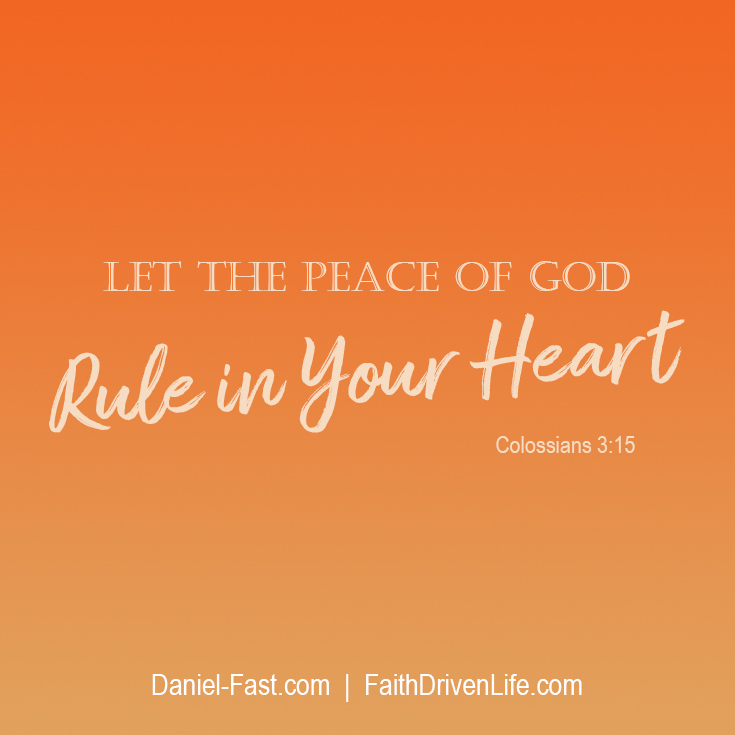 . .
Hey, friends, Susan Gregory here with the Daniel Fast and Faith Driven Life. I want to ask you a question. What’s on your spiritual dashboard? How are you doing with your spiritual life? As followers of Jesus Christ, this is something that we want to check in with frequently. Because if we are truly living in Christ, then we want to make sure that we are strong in our spirit, that we are walking in the Spirit, that we are making great accomplishments, and strides, and growth, and achievements in our spiritual life. That is the foundation of everything we do. Before we get started, I just want to say congratulations that you are starting the New Year with extended prayer and fasting, that your life is being enriched as you enter into this powerful spiritual discipline of extended prayer and fasting. Now, you’ve either already completed the fast, or maybe you’re starting it, or maybe you have it a little bit in your future now. But again I just want to say congratulations because when you enter into a time of extended prayer and fasting, that’s when you are making an intention for your spiritual growth, and that is a great and wonderful thing. Again, I’m Susan Gregory. 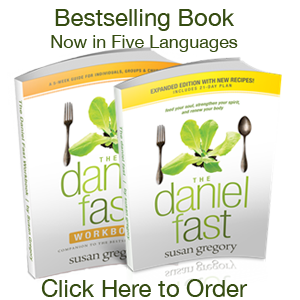 I’m the author of The Daniel Fast: Feed Your Soul, Strengthen Your Spirit, and Renew Your Body. I’m able to minister to literally hundreds of thousands of people around the world, and it has been God’s great blessing on me to be able to communicate with so many people. Today, we’re talking about that spiritual dashboard. Now, if you were taking off in your car, leaving, you would look at your dashboard. 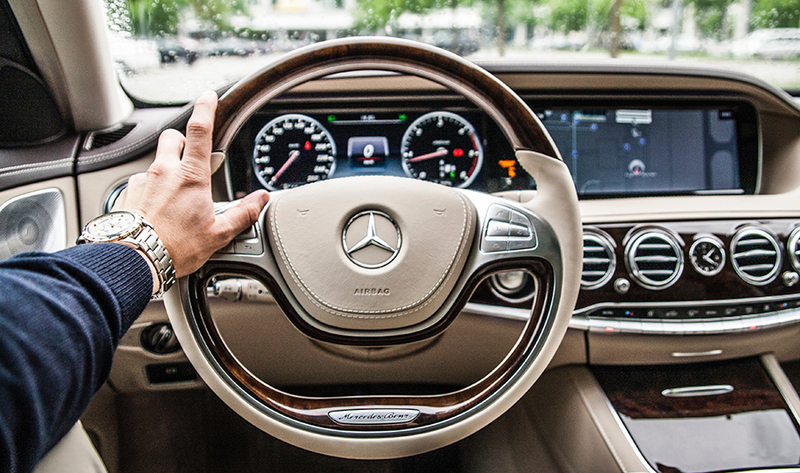 What does the dashboard give us? It tells us how we’re doing. It tells us what’s going on in our vehicle so we’re sure that everything is in order, or it’s even telling us maybe what we need to do. What we want to do is check our spiritual dashboard. How is your dashboard now? There are a few things, some indicators that we can look at, and we’re going to go over those today. First, your mood serves as one of the indicators on your spiritual dashboard that you can look at, that you can access, that you can consider as you see how you’re doing. Also, your words. What are you saying? What are the words that are coming out of your mouth? 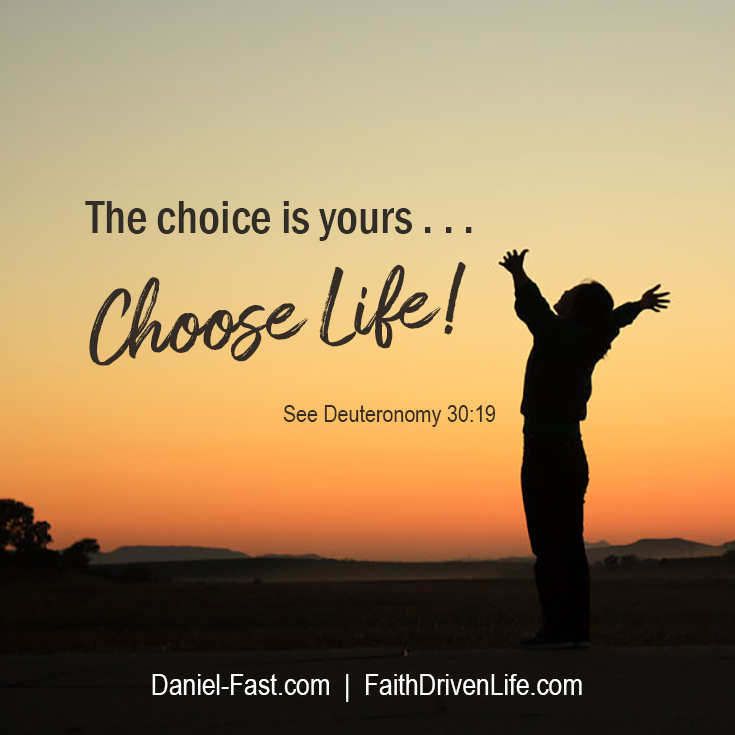 What kind of declarations are you making over your life? Also, your hope. The Scripture says that faith is the substance of things hoped for, the evidence of things not yet seen. When you think of your hope, when you think about what you want for your life, how is your hope doing? How is your faith doing? Where do you feel? What’s the barometer? Again, what’s the indicator on how you feel about your faith, the strength of your faith, the activity of your faith, if you’re using your faith, or are you still depending on more of your own insights or the things that the world has for you? What is your direction? Again, if you think about driving in a car, what direction are you setting that car out to reach? When you think of your life and your spiritual direction, what is your direction right now? Then finally, your destination. Where are you going with your life? Where is that place where you want to reach with your spiritual life, with your whole life? The Scripture says that you are a spirit, you have a soul, and you live in a body. So your whole being, what direction are you going, and then what is the destination that you hope to reach? One of the indicators on your spiritual dashboard is your mood. What has your mood been like? How are you feeling right now? Are you feeling frustrated? Are you feeling overwhelmed? Are you feeling disconnected from God? What is your mood? Do you find yourself being short with people? Do you find yourself being short with yourself? Are you harboring some bitterness, some resentment? Be of good cheer. Are you feeling cheerful? Are you feeling calm? Are you feeling as if you have this deep level of trust in the Lord? If not, then that is an indicator for you that you can work on those things, that you can come to the Lord. You can gain an understanding. You can gain some teaching. One of the chief indicators that are available to you is your mood, and these are things that you can access in private. Your spiritual dashboard is just for you to look at. It isn’t anything that’s broadcasted to the world. It’s nothing that you have to share with other people, but it serves you. Think about your mood, and this is something I encourage you to write about, to have a journal, to look into the Scripture. How are your mood and the emotions you’re feeling contrasting or being aligned with the things that we see in the Scripture? You have an opportunity to look at this indicator, your mood, to see how you are doing, how you are doing in your spiritual life. Then, another one is your words. Jesus is really big on how we use our words. In John 1, we learn, “In the beginning was the Word.” Jesus is the Word. Our words are very, very important. God created everything through His Word. What are the words that you are using? What are you saying to yourself? What are you saying to others? Every time a word is released from your mouth, it is like sending a package out into the realm. They have power. You want to think about this. This is really an important factor, the words that you’re using, things that you’re saying to yourself, things that you’re saying about your circumstances. Are you declaring the blessing and favor of God over your life? If you aren’t, start developing that habit. Start speaking the words, the truth, the Word of God over your life. Spend some time. Read Mark 4 when Jesus teaches about the sower sows the word, those words that go into our heart. Are they good words, or are they words that need to immediately be plucked out and then replanted with good thoughts, good words? What are the words you’re using? Again, I encourage you to think about not only the words you’re using to yourself, the things that you’re saying to yourself, but what are you saying to others? What are you saying about the circumstances? If you’re going through some challenging times, are you talking about the problem or are you declaring the solution? We just want to keep declaring these things over our lives, and they do make a difference. If you believe what the Scripture says, they do make a difference. What are the words you are using? I encourage you to think about this. Think about the people that you will see in the next day or two. Can you sow a word of hope, a word of encouragement into their lives? Is there something that you can say nice to them, fulfilling, sweet, a pleasure to them that will make them feel good? Sow the word into their hearts. Sow the words you’re using, and we want sweet words to come from our mouth. Then another indicator is your hope. Are you feeling hopeful about things? Hope doesn’t mean wishing and a-hoping. Hope, as far as the Bible teaches, is an assurance that what we desire will come. Faith is the substance of things hoped for, the evidence of things not yet seen. (Hebrews 11:1) When you are hoping for something and you’re hoping in faith, then you are hoping with the solution. For instance, let’s say you’ve got a financial challenge that you’re facing right now. Then you bring it to the Lord. You come to Him with the problem, and you seek His solution. Spend time with Him. See what the Word says, and then start declaring the Word, His Word, His promises over your life. His Word says that He is able to make all grace abound toward you that you will have all sufficiency in all things and an abundance for every good work. (2 Corinthians 9:8) Is that your hope? Is that your assurance? We want to keep changing our minds, renewing our minds, becoming stronger and stronger in our faith. What is your hope? When you consider the things that are going on in your life, what do you want to see? What are those desires of your heart? Then put your hope in Him, your trust in Him. If there’s a something, a challenge that you’re dealing with, find out what does the Scripture say. What does God promise? Remember, we are the overcomers. We are those that live in victory. What is the victory? Start proclaiming that over your life, having hope in it, assurance that God is going to fulfill His promises, that God is who He says He is, and that He will do what He says He will do, and that you can count on Him, that you can depend on Him, that you can put your trust in Him. Then again, that’s like a muscle that we build. It needs consistency. It needs feeding. It needs that spiritual nourishment. That’s how we can have that hope, that confirmed hope, that hope that does not weaken. We put our faith in Him. Then speaking of faith, how is your faith? Are you using your faith? Are you activating your faith? Are you looking for the Scriptures that give you promises, and then are you depending on those? Are you building your faith muscles? I like thinking of faith as a faith muscle, something that needs to be exercised, something that needs to be used consistently. Are you using your faith, and are you feeding your faith? Those are all things that we need to do. 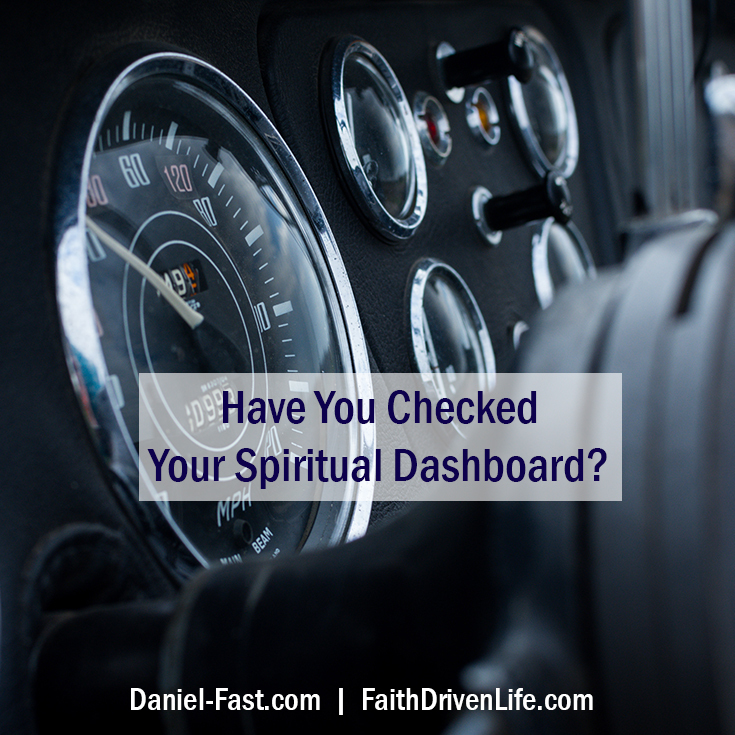 If you look at your faith indicator on your spiritual dashboard, what’s the reading? Is it in the almost empty zone or is it growing, and thriving, and you just are so excited about the things that you are learning and developing in your faith, that God is blessing you, that you are opening your heart to Him, that you have an absolute assurance that He hears your prayers and that He answers your prayers? You’re in the Scriptures and you start seeing how all of his Word comes together like a perfect puzzle and how everything works together. That’s how you build your faith. The Scripture says, “Remember, do not be conformed to this world, but be transformed by the renewing of your mind so that you will know that good and perfect will of God.” (Romans 12:2) Is your mind being renewed so that you are walking in faith, that is walking in the Spirit? Walking. What do we do when we walk? We are moving. We are growing. We are going to a destination. It’s something that we do a step-by-step, bit-by-bit, in an ongoing way. We are moving from where we are from one place to another place. We are growing in our faith. Everybody has the same measure of faith (Romans 12:3), just like everybody has the same measure of muscle. It’s what we do with those faith muscles that makes them strong or keeps them weak. Where we stay passive or we are active. We are moving, we are growing, and we are developing our faith, and oh my goodness, that is such an amazing, lovely, wonderful place to be in your Christian life. Then another indicator, something you want to look at on your spiritual dashboard, is your direction. What’s going on in your life right now? What do you want? Do you know that most people don’t even think about that? Most people, the majority of people, don’t even think about what they really want. They don’t think about the desires of their heart. A lot of people don’t feel that they deserve them. Consequently, this goes back to the mood, we’re feeling overwhelmed or we’re just like, “I’ve just got to get through the day.” Well, is that the direction that you want to stay in, or do you want to make what can seem to be and can be maybe some hard choices, to begin with, so that you can change your direction? Let’s say you’re in a challenging marriage and you’re feeling so frustrated, you’re feeling so hurt, you’re feeling uncared for, unloved. Do you want to change your direction on how you’re reacting to all of this that’s going on with your partner? Relationships can be like a dance. Do you want to change the steps? You may not be able to change their step, your partner’s step right now, but you can change your steps. It doesn’t mean you’re going overboard. You want to be authentic and absolutely you don’t want to settle for any kind of abuse or anything like that, but what direction are you traveling? You have the ability to change the direction. It doesn’t mean that things are going to change immediately, but you have the choice to change the direction, change your direction, and see where you go. Which leads us to your destination. Where is it you really want to go with your life? What are the things you really want? Here we are at the beginning of a new year. What are the things that you would like to see? What’s a big goal that you would like to see for yourself this year? Is there a new skill you want to learn? Is there an accomplishment you want to achieve? Are there some things, some habits you want to develop? Is this the time when you’re finally going to drop those unwanted pounds or you’re able to attain some new knowledge and develop some new skills so that you can apply for a different job? Are there some things that you want to learn about, communication with your children so that you can be a better parent? What are those things? What is that? If you had one big goal that you could achieve this year, what would it be? Set yourself on that destination. What are some things, other things, maybe not quite as big that you would like to see in the coming 30 days? What’s something that you could achieve in the next 30 days? Could you make a commitment right now that you will read a Proverb every day? There are so many things that you can develop. Do you want to develop new habits, new ways of using your time, new ways of spending your money, new ways of caring for your body? There are so many things, but what is it you really want? What is God calling you to do? We want to do all of this in cooperation with Him. The Word says, “Delight in the Lord and He will give you the desires of your heart.” When we delight in Him, that’s when we’re spending time with Him. That’s when we’re worshiping Him. That’s when we are putting ourselves aside, crucifying the flesh, submitting to Him, joyfully submitting to Him, and having His faith come into us, His Spirit be alive and well in us. What are those things that He’s calling you toward? Most of us know many of those. We get those little spiritual taps on the shoulder and He shows us things. This is the wonderful thing that’s so good about a New Year. Whether you’re listening to this message at the beginning of a New Year, a new calendar year, or whether you’re listening to this message mid-calender year, you’ve got 12 months ahead. What is it that you would like to see happen for your life in the next 12 months? Then what do we do? Believe you receive it. We can already thank Him for it because even though it has not manifested yet, we have the assurance that it’s coming. That’s what the Scripture says. Then we will get it. What are those things that you want? Are you spending time with the Lord? 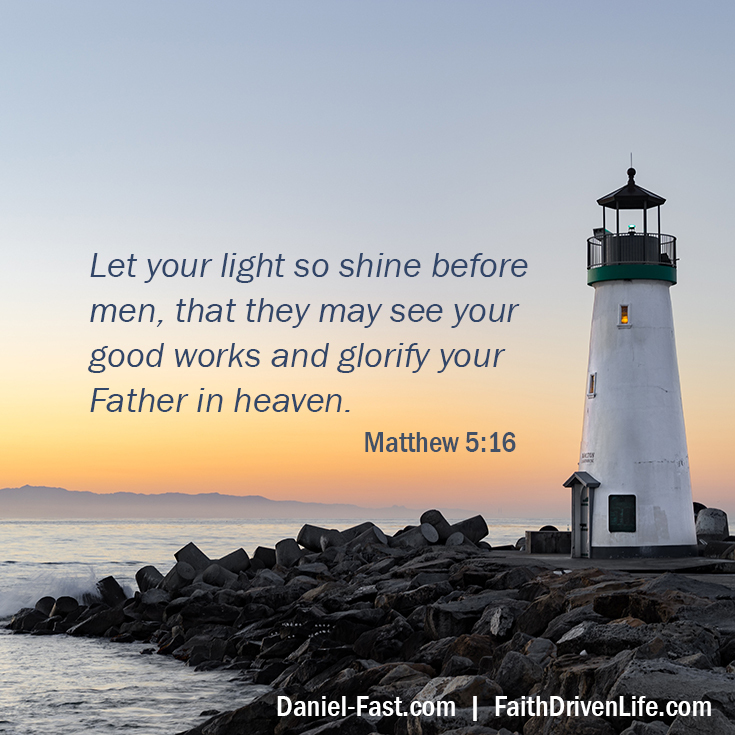 Are you delighting in the Lord? This is one of the great, wonderful things about entering into a time of extended prayer and fasting is you get to be in this highly focused time. You get to develop new habits, new routines, new ways of being that you then can carry on into your typical days, into your everyday Christian life. You can continue to walk in the Spirit. It is such a great and wonderful thing. I hope you are looking at your spiritual dashboard. If you want to learn more, I’ve created a worksheet for you. 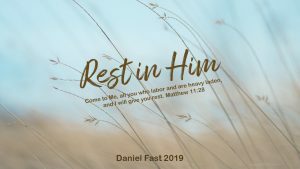 You can go to Daniel-Fast.com/dashboard or you can click on the link below and it will take you to that page, and you can receive that spiritual dashboard worksheet with some scriptures on it and with some places where you can ask yourself some questions, where you can write about it, where you can really contemplate these things. That’s how we grow. We gain the awareness and we gain the direction. We make some decisions, and then we move into the hopeful future that is available to us. I’d love to stay connected with you. I hope you will share, or subscribe, or comment below. What are your thoughts about having a spiritual dashboard, something where you’re looking at it regularly so you can see how you are measuring up? Are you maturing in the faith, or are you staying passive, are you staying weak? We want to continue to grow and develop in the love and knowledge of Jesus Christ. What a blessing we have. The God of the universe, the God that created everything, says, “You are my precious child,” and He wants the very best for you, but He is the Giver. We are the receiver. We need to be there so that we can receive from Him. I hope this has been helpful. Have a great and wonderful week. I love you so much, and we will meet again next time. Bye for now. Susan, Thank you! Thank you! Thank you! Every step of the Fast and now this has brought much focus and clarity to my entire life. Oh how I have challenges along the way, but, I have learned how to handle them and remain in Him with much success. I am so happy for you and honored to have been able to come alongside you on your journey. Knowledge and experience are so powerful. Add consistency and you’ve got the winning formula for godly transformation! I thank God for using you. Thank you for your guidance. I finished my fast on Monday the 4th. I feel absolutely fresh and new. Everything that is beautiful I am. I feel I have a connection with God. He is showing me wonders! I’m already seeing breakthroughs in my soul, body, and mind. I’m totally new. During my fast, my prayers were answered immediately . . . either in a dream or through church service or through the Word. It’s amazing. God’s timing is perfect… I needed this now in my life. I had an encounter with God. He touched me and I’ll never be the same again. Thank God for that. I act differently. The transformation I went through is shocking. People are asking what happened to me. I just say God happened! My first successful Daniel Fast blessed me with spiritual growth and getting closer to God. It’s a confirmation that I really want to rest in Him now. I looked forward to your emails, videos, and people comments every day. They kept me determined that there was nothing more important than spending quiet time with God and trying to please Him. Thank you for all the information you fed us. It was as if you were here with me, saw my struggles, wanting a bit of that meat, having a glass of wine, but because I knew what I wanted I prayed, read the word, reminded myself Jesus died on the cross for me. I cannot be led by temptation. Yet again you came through with more information after my fast on how to keep the faith and keep it strong. I really appreciate everything you have posted. It helped me immensely. I blessed the day I subscribed, Jesus led me to your site at once. I thank God for you, Susan. May He bless you abundantly. I want to win in this race of life, I’m fighting for my salvation! Thank you, Phumi, for your lovely message with so many powerful details about your fasting experience. Our God is so very good and He especially wants our transformation. Only as we’re transformed can we be close to Him. Only as we change, can we be like Jesus. Only as we grow, can we be his witnesses! You’re on the road! You’ve chosen to walk in the Spirit. Blessings all around! Blessings to you, dear one! Keep on keepin’ on! My spiritual dashboard is telling me that I’m at a stand still right now. I often have seasons where I’m sad, I don’t feel like doing much of anything that includes praying, reading etc. I know full well that it’s a trick of the enemy. I’m so tired of going through this cycle. Thanks so much Susan. I really needed to hear this today, as I’m feeling a little out of sorts…kinda sluggish, but I don’t know why. I slept longer than usual, yet I still have no get-up-and-go. Listening to this teaching is helping me assess where I am and what could possibly be going on in my soul that’s affecting my mood and my body. Thank you. As usual, on time! Praise God, Queen! He is so very good and loves you beyond measure! Thank you so much for your encouraging message. Susan, thank you so much for this!!! You have amazing insight and I am so blessed to be a part of your ministry. This has challenged me in many ways! I am printing the transcript and will review it often! Thank you for using your amazing gifts to challenge us to grow in our faith! Blessings to you, Kristin. And I too am very thankful that we are connected. God is so very good. Thank you for your lovely message. Be blessed as you continue to open your heart to God so He can reveal to you His insights for your life. Thank you so much for your message on our spiritual dashboard. Yes, Barbara, good to think about, right? Glad the message spoke to your heart. Thanks so much for sharing this about our “Spiritual Dashboard” this put a lot of things in perspective for me. It does matter what mood I’m in the words I use, how I work my Faith, how I pray and believe and more importantly what direction I’m headed for this New Year.I was really blessed with reading this. Devotion. Thank you for encouraging us to think about our Spiritual walk with God and how we must do something different to draw closer to God. Thanks again. May God continue to bless your ministry. You are so very welcome, Cecilia. God has so much for us, yet I think we miss more than we know because we are so busy and distracted. Our Spiritual Dashboard helps us see where we can make adjustments so we can receive more of His insights and then be better for ourselves, for Him, and for the cause of Christ. Be blessed and thank you for your thoughtful message. You are so very welcome, Ethel. Be blessed as you continue your journey in faith.